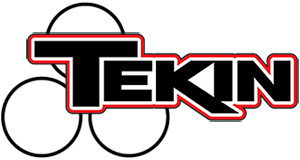 Tekin takes Rd1 of the 2014 Super Cup! – Tekin – Smaller, Smarter, Faster! Tekin takes Rd1 of the 2014 Super Cup! Round 1 of the spring session JConcepts Supercup at Space Coast RC in Cocoa, FL. (Host of the 1/10 off-road nationals in 2014). The Supercup is a large racing event in the state of Florida and attracts some of the best racers. Tekin team drivers in attendance were JR Mitch, Brett Kingsbury, Chris Viesins, and Peyton McDonald. 4wd Mod Buggy kicked off with Tekin powered Brett Kingsbury from P3. The race would be finish in the order it started with Kingsbury taking 3rd behind JConcepts own Jason Ruona and young gun Daimon Borkowicz. Tekin powered JR Mitch would take 2nd overall with his Tekin RSX equipped TLR 22 2.0 buggy. JR continued his success with his Tekin Rx8 Gen2 powered TLR SCTE taking the 4wd SC class with Tekin teammate Chris Viesins hot on his heels for 2nd place. Chris also chose the Tekin Rx8 Gen2 and Pro 4 4600 motor in his TLR SCTE. Tekin factory driver Peyton McDonald would take his Tekin RS Gen2 Redline Gen2 17.5 powered T4.2 to a win in the Stock ST truck class. « Tekin’s TJ Bradley reports from RD4 of the FSEARA series!